We’re seeing the end of spring draw near for the nation’s capital. That means that the days are getting longer, school is soon going to be out, and there will be plenty of time for vacations, great weather for outdoor activities, and, of course, much hotter days. Sometimes, that temperature can be so high and the air so humid that it can be difficult to live and work, but that’s where technology comes in. Air conditioners can be a real lifesaver during the hottest days of summer, but you should do some preparation ahead of time to get your unit ready for another season of keeping you cool. 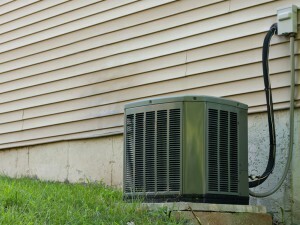 Typical AC systems for the home often have a very large, fan-like unit that is installed just outside the residence. This hardware is called a condenser. Its job is to draw in air from the outside, expose that air to a coolant to lower its temperature, then pump that cooled air into the home. The function of this unit means that it has been built to promote optimal air flow. That means there’s a lot of space, much of it open, which can then allow detritus to enter in and settle at the bottom of the unit. If your property has plants or trees, then take some time before summer begins to inspect your condenser and, if a lot of leaves have accumulated, clean it out. They can impact the performance of your AC otherwise. An efficient and very common design for a centralized HVAC system has air conditioner integrated with the furnace, allowing them to share the same ventilation system. 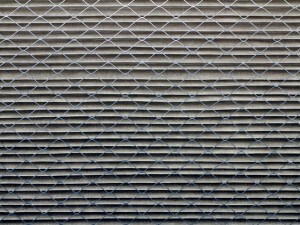 However, this means that the same filter a furnace relies on is the one that the air conditioner will need to use as well. In these cases, where filters are used all year round, you should schedule regular replacements if you’re using one-time only, disposable filters. Every seasonal change, that is, four times a year, every three months, is a good schedule to follow. Homes with older thermostats that predate digital controls may want to consider upgrading to a modern system for a couple of reasons. Newer thermostats tend to be more accurate with reading temperatures, meaning your AC won’t be working any harder than necessary. But new models can also operate more efficiently because they can be scheduled. You can program them to remain inactive during the day if no one is at home. Then, shortly before people start arriving, it can turn on the system and start cooling down the home automatically. Some new models can even be operated by your phone.